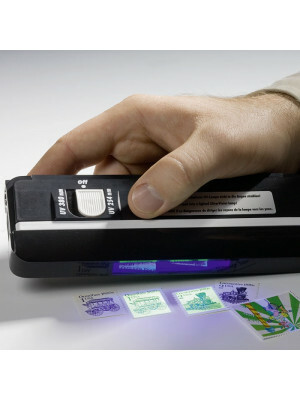 Long wave, hand held, portable model for detection of fluorescence of stamps and tagging on currency or phone cards. 4 Watt efficiency. Requires 4 AA batteries. Broad spectrum of long waves. 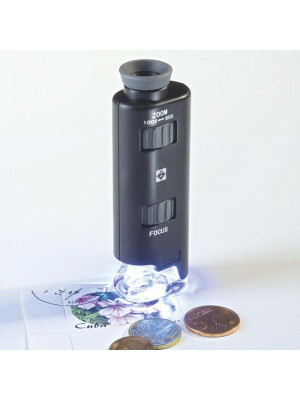 Peak efficiency at 366 nm. 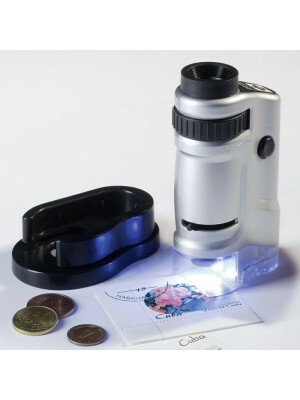 Reliable detection of luminescence.